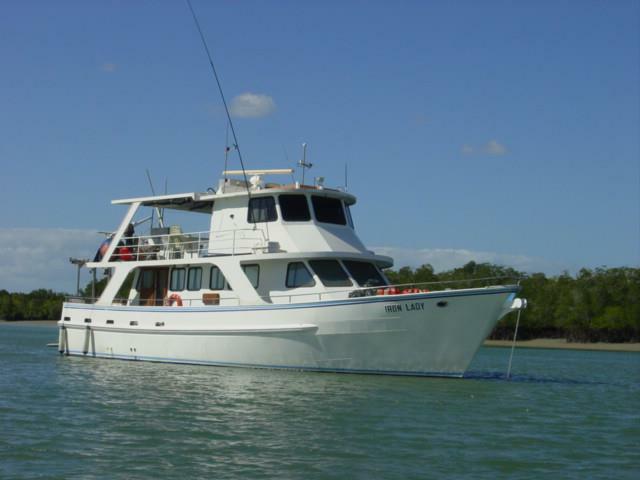 Capt Dan and the Iron Lady are the ultimate definition of have boat will travel. 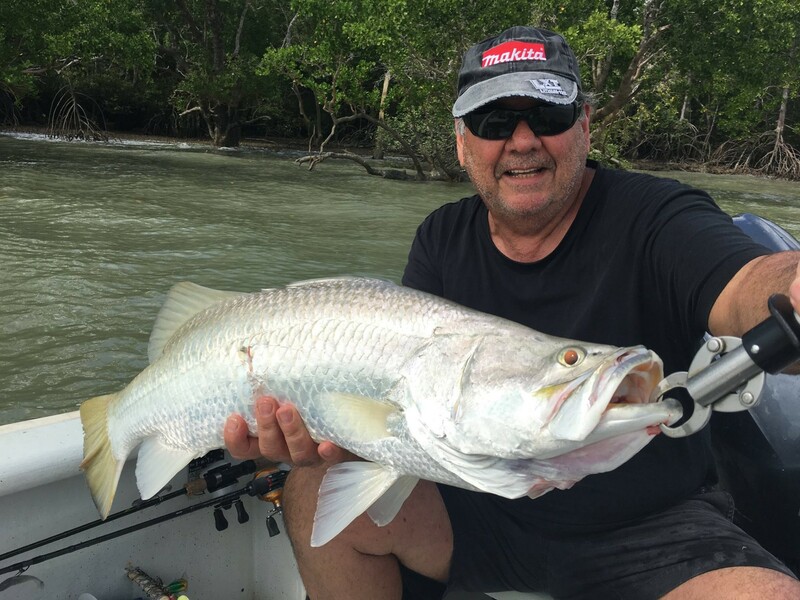 From the Roper River to the south and Elcho Island off Arnhem Land they go hunting for fish. After 18 years of continuous operation, Capt Dan and the crew know the area pretty well. 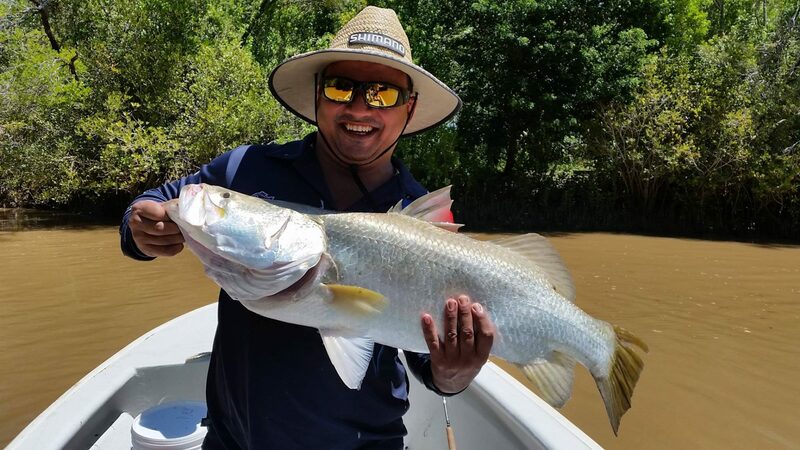 To be able to get over a thousand barramundi in June over six days fishing with six anglers on board shows how in touch with the locations that they fish. Check out Buckingham Bay & Habgood River on Google Earth. There are 100 days of fishing without even scratching the surface. For those looking for a truly unique experience jumping on a Paspaley Mallard in Darwin and landing right beside the mothership (on the water) to start your adventure. Maybe you wanted to start down at the Roper River and work your way all the way up to the top of Arnhem Land. Capt Dan and the Iron Lady is the operation to go hunt fish. In 2017 30 fish over the 110cm mark is not a bad effort given that some people official lifetime without even seeing a fish that big. 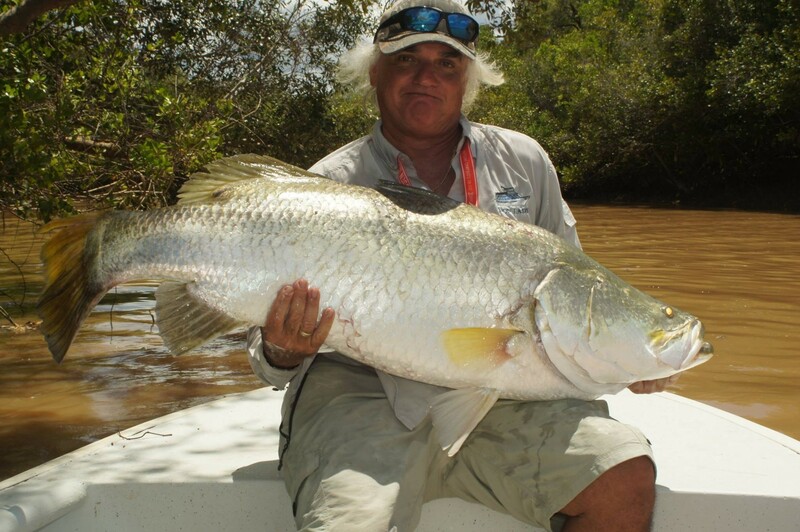 101cm is significant, but once you start getting over the 110 cm mark, there is no need to stretch the barramundi out. It is a big fish that will be treated well photographed and returned to keep the system productive. When you fish with the skipper that cut his teeth targeting marlin more specifically thousand pound marlin you know that he is going to be a thinker. Fish that size do not magically get to the side of the boat and tagged it is an effort highlighted by teamwork. 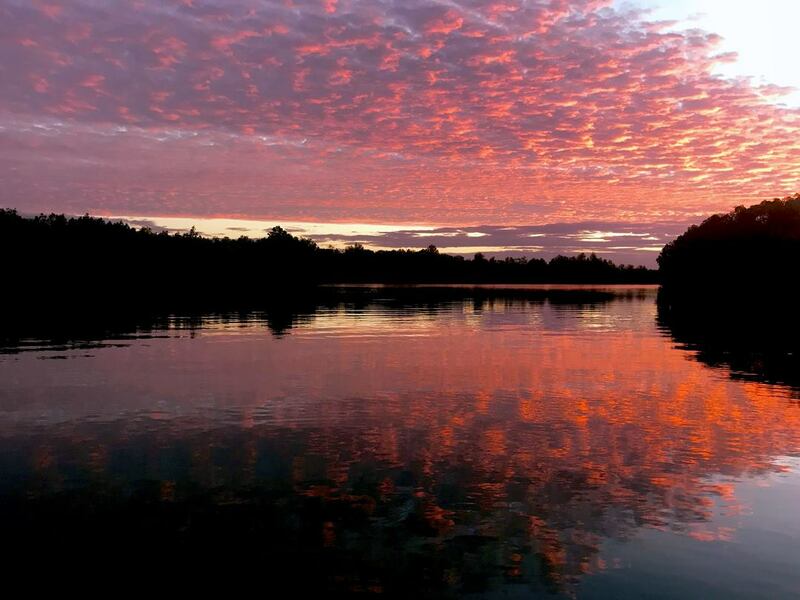 If the fish are biting early, he will have the crew up early and on the water. There is no office hours fishing on this boat! You would think after 18 years he might be a bit set in his ways. The thing is the only way to stay in business that long is to adapt and learn new techniques. If you jump on board the Iron Lady and want to try something new he will work out with you the best way to go about doing it. 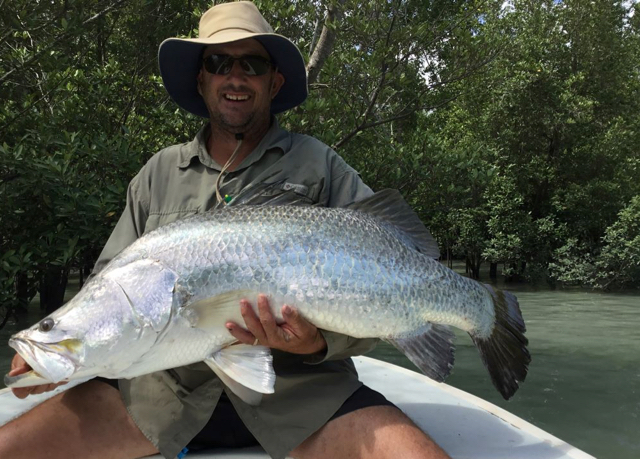 A thousand barramundi in June is impressive to be sure. 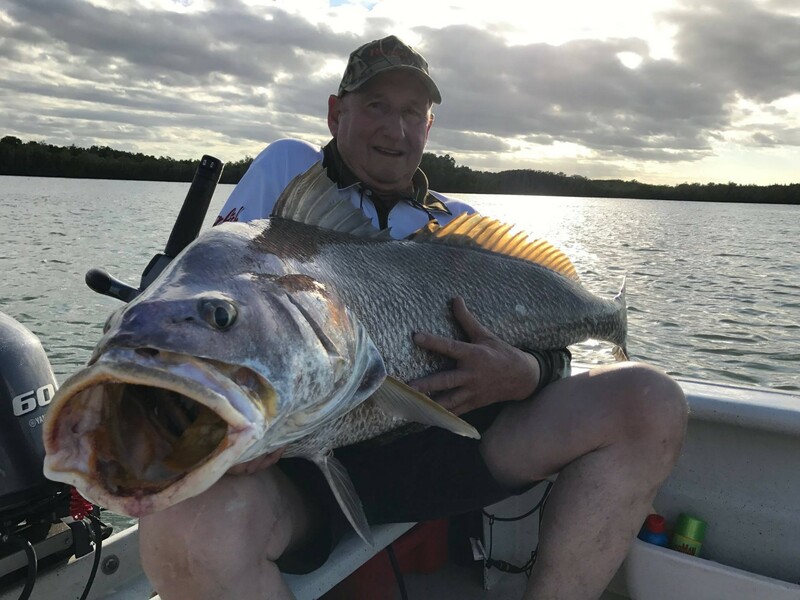 What is remarkable is the number of other fish you will target while catching and targeting barramundi. After spending the morning battling barramundi suddenly you are casting to 10 kg plus queenfish and GT. That’s good practice as the chef has asked for some mangrove jack for dinner and up there once they turn their nose for home they are hard to turn back. Over lunch, the guides will openly discuss what has been working and not working as there are no secrets on the Iron Lady when it comes to fishing tips and tricks. 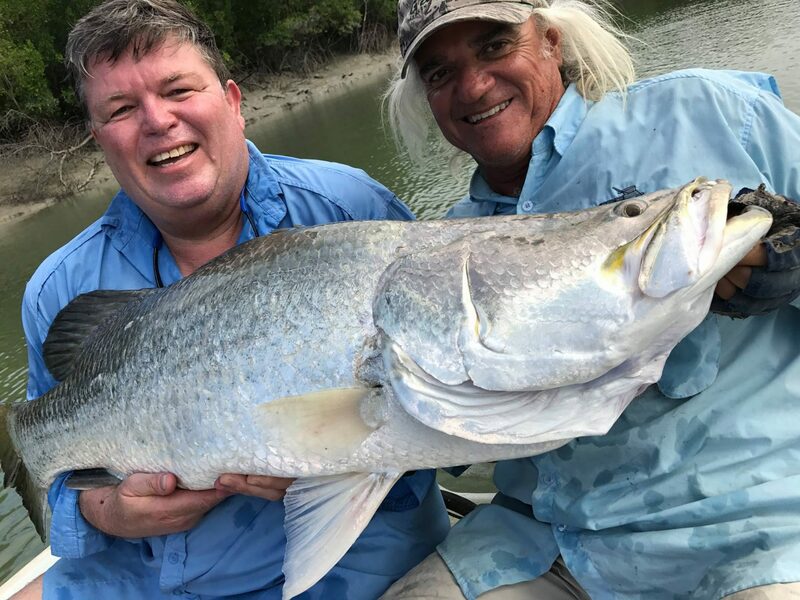 For those of you that prefer to fly fish, this is one of the charters that may not be on the cover of a fly fishing journal… But this is the guy that knows where all the bodies are buried. In that Capt, Dan knows where the Permit will be and at what time. Capt Dan knows that often with the long wand it is not about numbers then it is about a plan coming together. Put together your wish list on fly and get on board the Iron Lady. 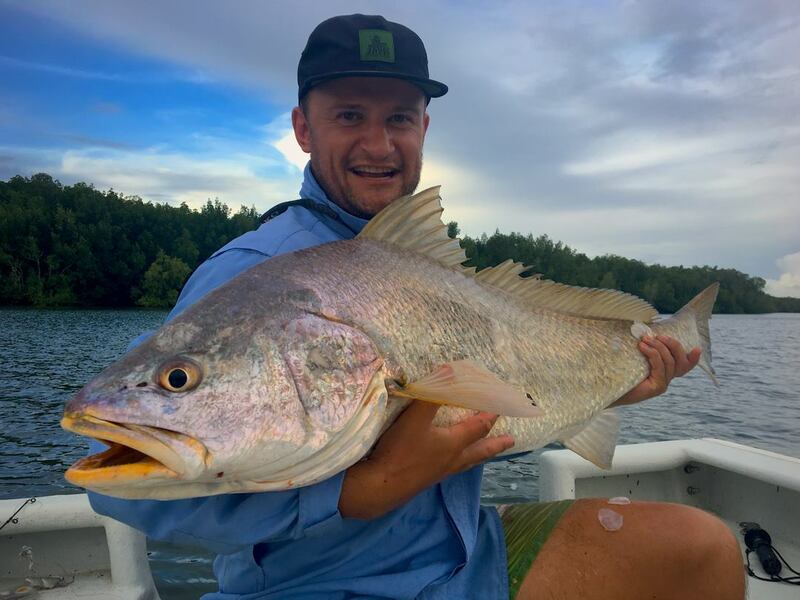 Enjoy a live aboard mothership fishing experience while exploring the most remote and productive Barramundi locations in Australia. 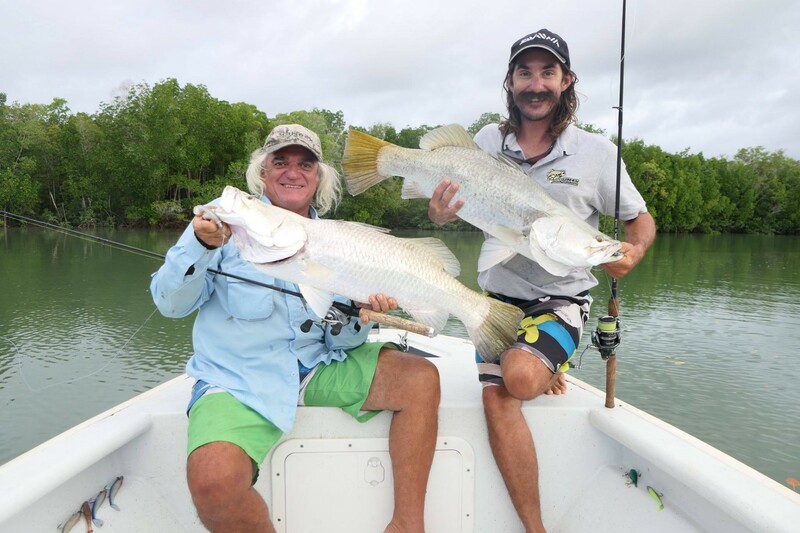 The areas that the Iron Lady visits are also well known as the best BIG Barramundi fishing grounds in Australia. The Iron Lady can host eight fisho comfortably. The team at FishingEarth will work with you to put together the most cost-effective and time-efficient travel plans for you. You will remain comfortable and stress-free as you journey to this fabulous location and back home again. 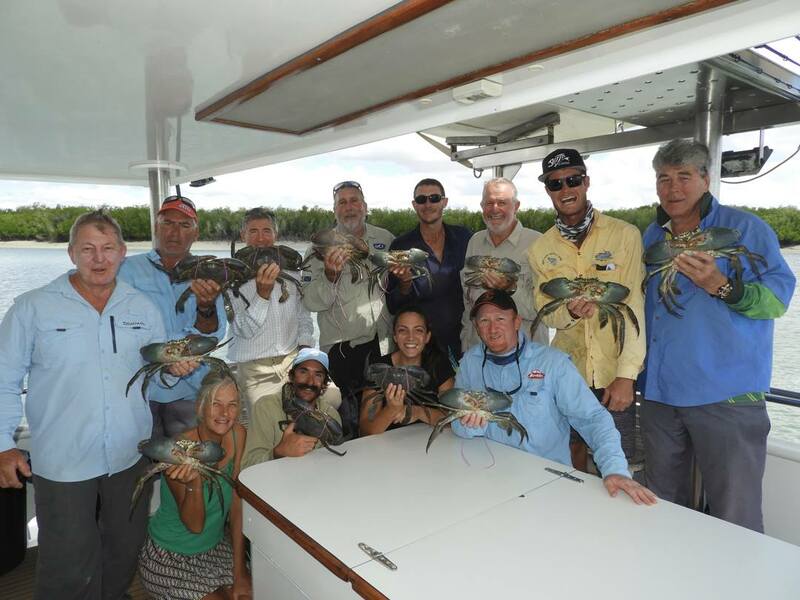 Depending on where you will be starting your Iron Lady fishing adventure dictates the route that is needed to take. Simply it is either going to be out of Darwin or Gove. Look at the colour of the water… what a fish! First week in March through to the 20th of December. Typically the charters are five days and six nights or six days and seven nights. Q. Where is Iron Lady now? A. The Iron Lady is out with Capt Dan targeting everything from permit and barramundi through to 1000lb marlin. Q. Is the water drinkable up there? Q. Can washing be done? A. Yep, each day the staff will wash anything you need washed. Q. Is there hot water? Q. Is there mobile phone reception? A. Yes and no! Depending on where you are you may have better phone reception then you get it home… But other days you may not see a signal on your phone at all. Number 1 FishingEarth tip for this location. 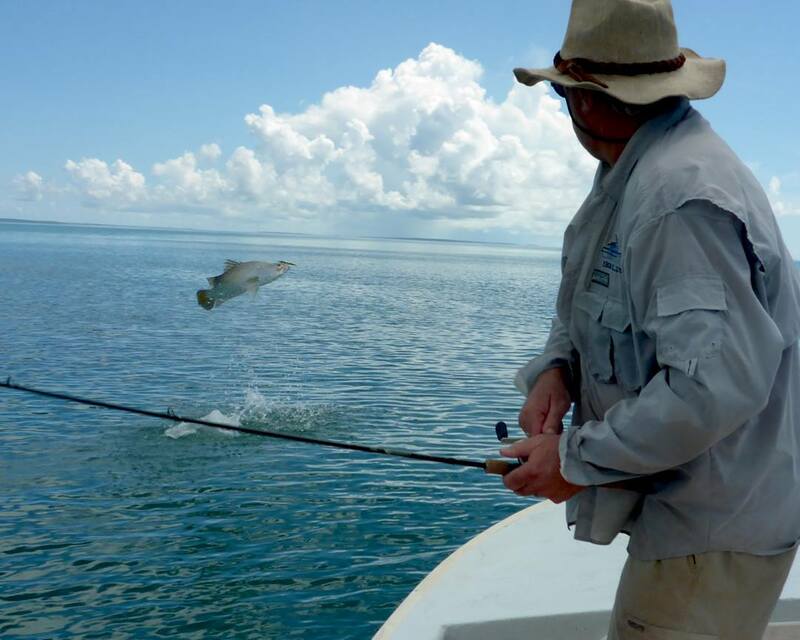 Don’t be afraid to get in there and talk with your guide as well as Capt Dan. As good fishing guides they are they cannot read your mind. Get in there and discuss what you are looking to do let them know as there are no secrets on the Iron Lady. Copyright © 2019 Fishing Earth. All rights reserved.